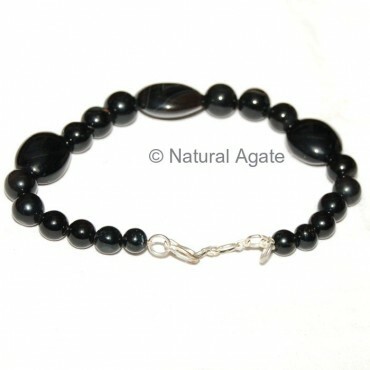 Black Onyx Almond Shape Bracelet has big almond shaped beads and small round beads made from black onyx. Every girl likes black accessories. Check Natural Agate for such fancy accessories.